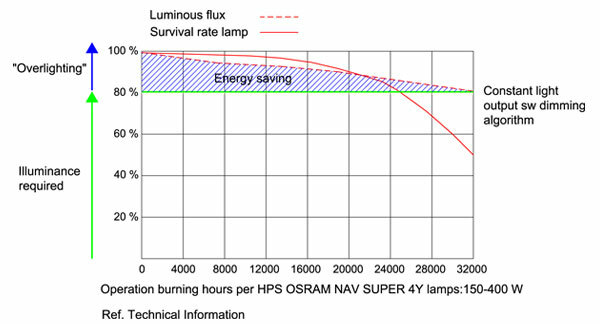 SMART is the response to increasing demand for both low energy consumption and high efficiency. 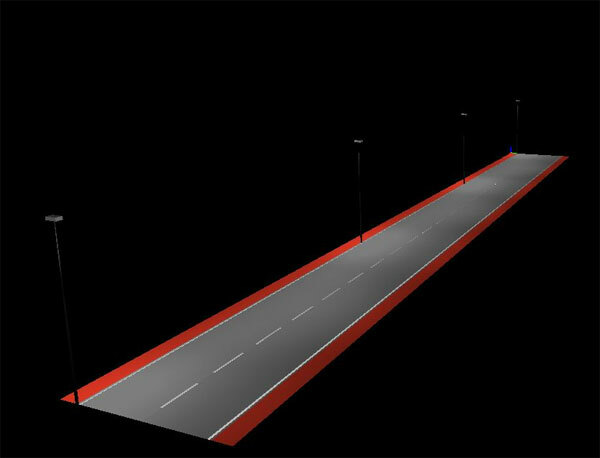 It is based on many years’ experience in road lighting, offering exceptional performance. An indisputably pure design and impeccable construction: the perfect combination to ensure the best on the market. 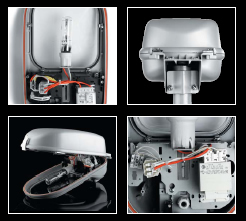 • The housing (body and top cover) is manufactured from die-cast aluminium alloy and finish with a thermo polyester grey colour powder paint. On request: twin colours. • Reflector is made of high purity (99,8%) one piece pressed electro-polished anodised aluminium. • Post top entry installation, Ø 46 ÷ 60mm. • Post top entry installation with accessory ,Ø 72 ÷ 76 mm. • Side entry installation, Ø 46 ÷ 60mm.,the luminaire gets inclination of the arm. 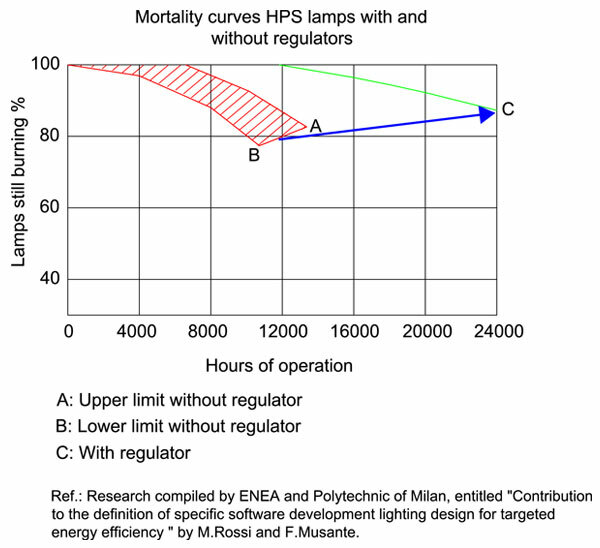 • For Class II electrical safety switch disconnects the main power supply on opening the luminaire in maintenance. • Porcelain lampholder with horizontal and vertical mechanical focusing device. • Adjustable reflector in order to optimise the optical perfomance and light distribution. • Zinc coated gear tray for insulation Class I; glass reinforced nylon gear tray for insulation Class II. • Both gear trays are completed with lamp holder and/or electrical connectors for fast replacement and easy maintenance. 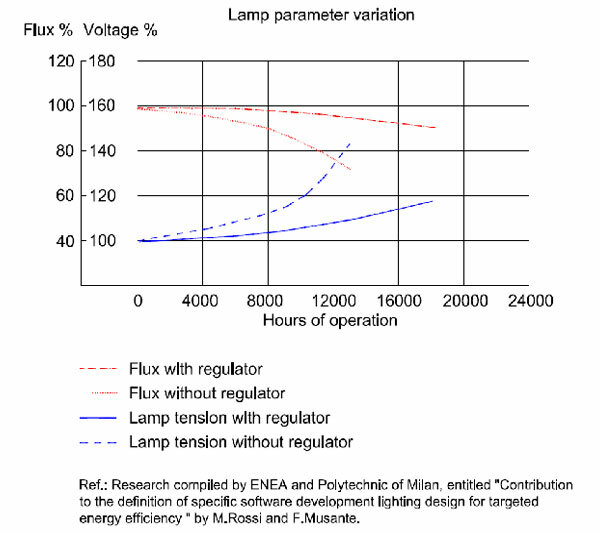 • As optional the luminaire can be provided with a fuse. • The gear and lamp compartment can be easily accessed by opening the fore stainless steel hook. Optic group with thermal toughened flat glass. Optic group with thermal toughened curved glass. 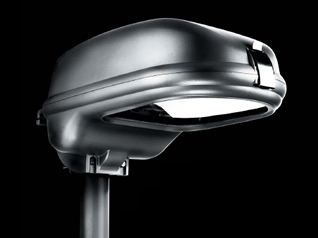 For quick and safety inspection the luminaire is supplied with anti-tipping cover device. Electrical components are certified with ENEC Mark. Power supply: 230V; 50Hz. Maximum mounting height: 15 mt.